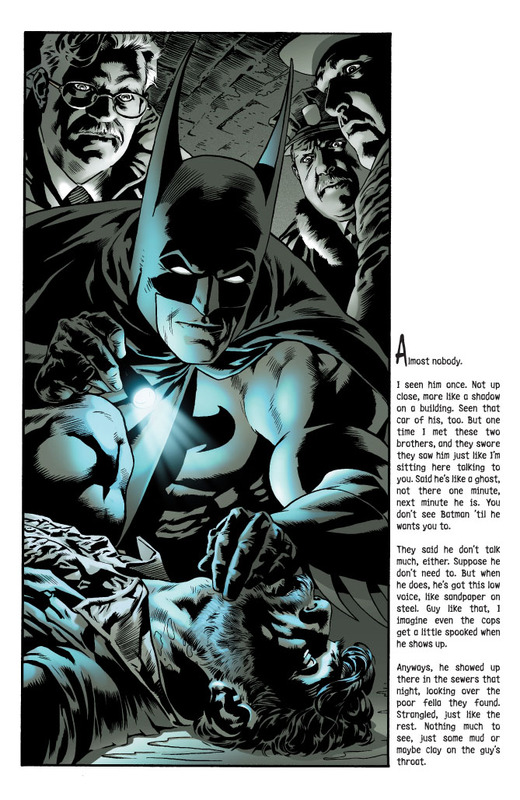 Kevin Nowlan: Batman: Hidden Treasures on sale today! Not going to get to the store till Sat. but happy that this and the Outfit are out this week. Happy dance all around. Like the piece and the comment about Alex. Without naming names of course, is there a problem with colourists not understanding light sourcing? Another thing, sorry to hijack your blog but have you heard the news about Steve Rude? Trying to get the word out and Bleeding Cool's now picked it up. Great news and a reason for a visit to the comic shop! Beautiful stuff. Just read through it. I think this pairing might be my favorite of yours other than Jose luis Garcia-Lopez. Beautiful (tried to think of another word but that works best) interpretation of Wrightson's pencils. From what I've seen, in a few areas the pencils were fairly tight but the inking is noticeably different. Is it a conscious realization that you might need to approach the spot differently, or does it happen more organically as you're inking? Ron Marz, if you're out there: Great, great story! And Kevin Nowlan: Who would've thought anybody but Bernie could ink Wrightson? You are SO The Man! As much as I admire the coloring on this. I really would've preferrred a treatment that took one step back & allowed us to view your inking a little better? I had a very difficult time appreciating the linework on this one. And hopefully, it'll someday see a purely Black & White reprint, where the artwork isn't completely smothered by any coloring.. It's great to see it! I've been waiting for this so long that I had to poor over every page and so it took forever to get through the story. This is the best Wrightson's Batman has looked since the Swamp Thing story. I thought the coloring was pretty good on 'your' story but it seemed to overpower some of the reprint's art. And I suppose the art is long gone? Great story and art. Also good to see your name big on the front, I felt you didn't get enough credit on the Wednesday Comic book!